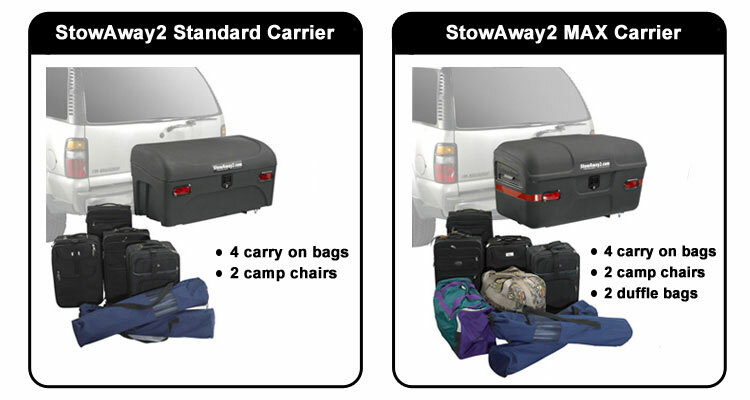 Not sure which StowAway Cargo Box to select. See below for a quick comparison of their features and capacities. L x W x H 49"x21"x24" 49"x21"x24" 47"x19"x22" 47"x19"x22"
L x W x H 51"x23"x26" 51"x23"x26" 49"x21"x24" 49"x21"x24"
Frame Rise 5" 7" 5" 7"